The safari jacket is truly timeless. 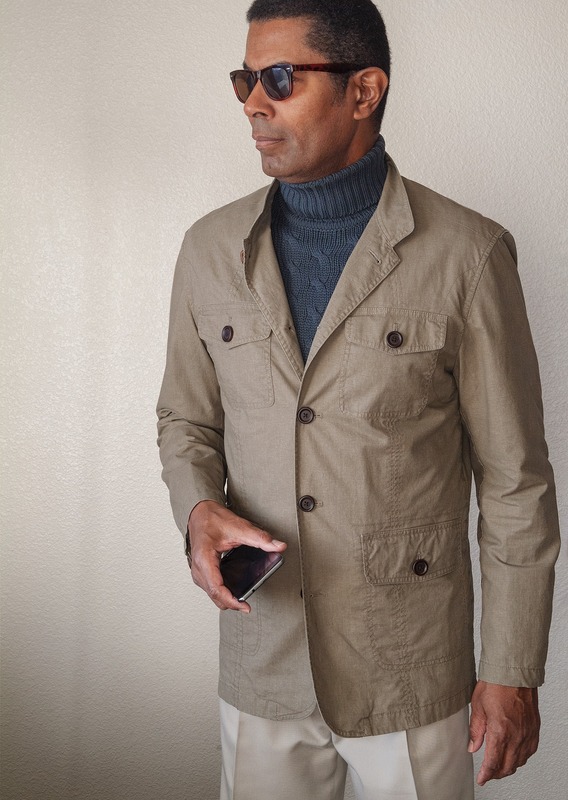 When you think of the classic cotton khaki safari jacket, it may bring to mind visions of adventures on the African bush or touring the Australian outback. 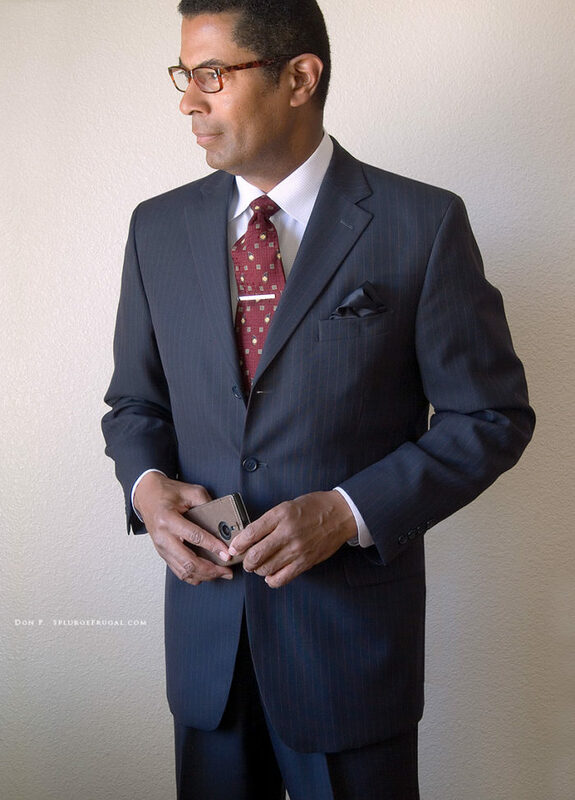 It has held an enduring place in menswear especially among those who revere classic tailored clothing. 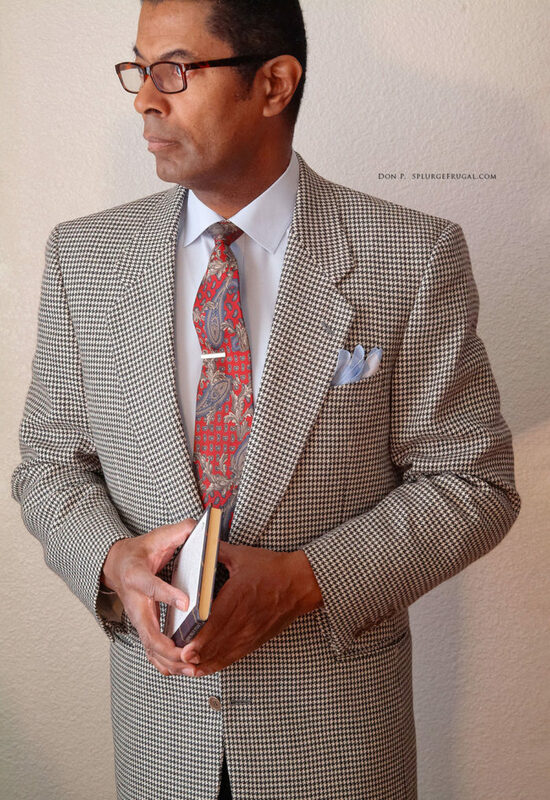 I believe that it deserves a place in the closet of any modern man who leans toward classic style. A classic safari jacket is a timeless and tasteful option for spring and summer wear. 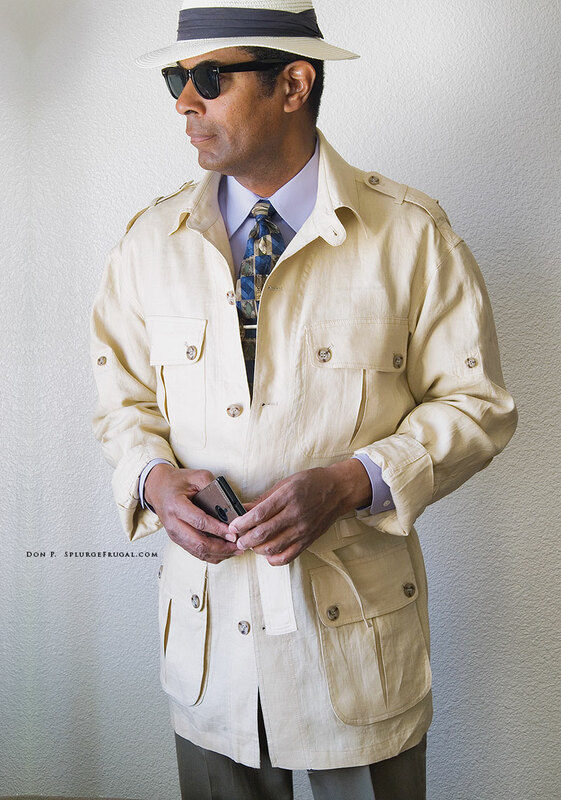 For a time, the safari suit was a popular fashion statement both in the United States and Britain. They peaked in popularity in the mid-1970s and died a sudden death in the gaudy age of Disco. 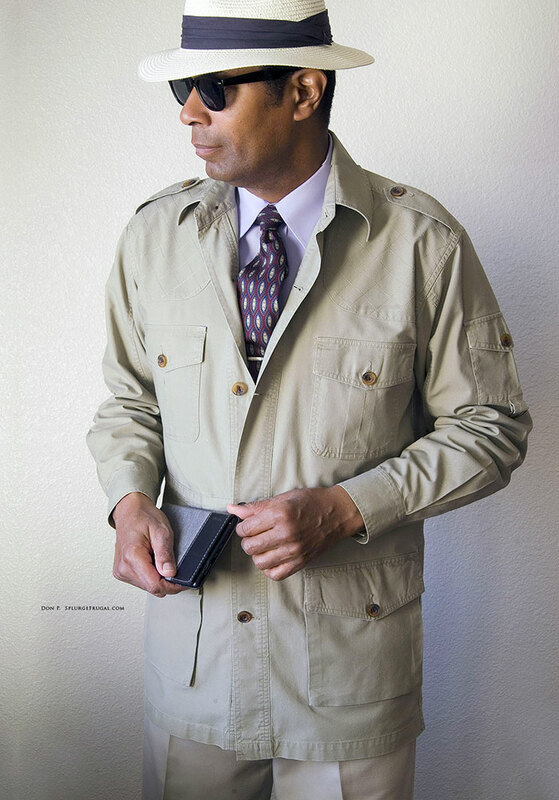 Here is a page from the spring 1987 Banana Republic catalog featuring the “Correspodent’s Jacket.” a colorful way of marketing this popular style of jacket to urbane adventurer’s whose only contact with an African safari was when watching a National Geographic documentary. 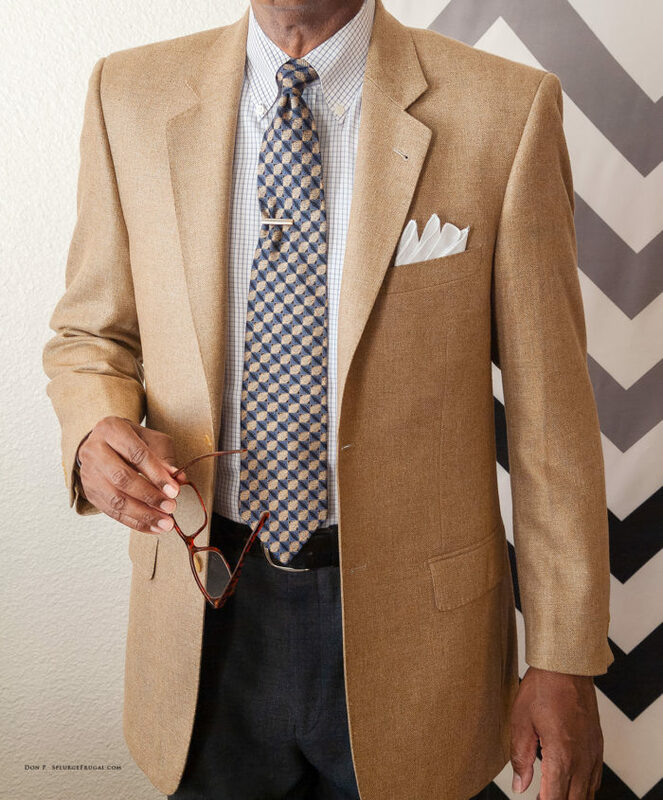 Occasionally, high-end menswear boutiques that specialize in classic British tailored menswear will feature high-priced variations of the safari jacket in linen, cotton or suede. A safari jacket has nearly the utility of a classic blue blazer. 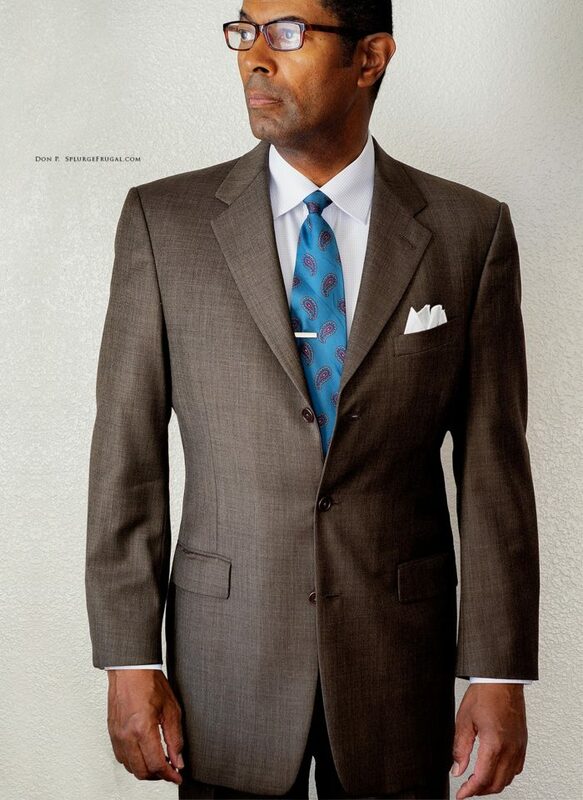 You can dress it up with a shirt and tie or make it much more casual. They are usually unlined and made of cotton or linen. This makes a safari jacket a comfortable yet stylish option for spring and summer wear. Generally, if you are frugal (as I am) your best option is to seek out well-preserved examples of safari jackets on the second-hand market. The safari jacket I am wearing at the top of this post is 100% linen. It was purchased for only $18.00 new with tags on eBay, a very rare find at a bargain price! The jacket I am wearing below was purchased second-hand on poshmark.com for the grand sum of $14.00. It is made of lightweight cotton, unlined, and washable. It was made by Cabela’s, a retailer that specializes in sporting gear for outdoor enthusiasts. I estimate it to be at least a decade old. 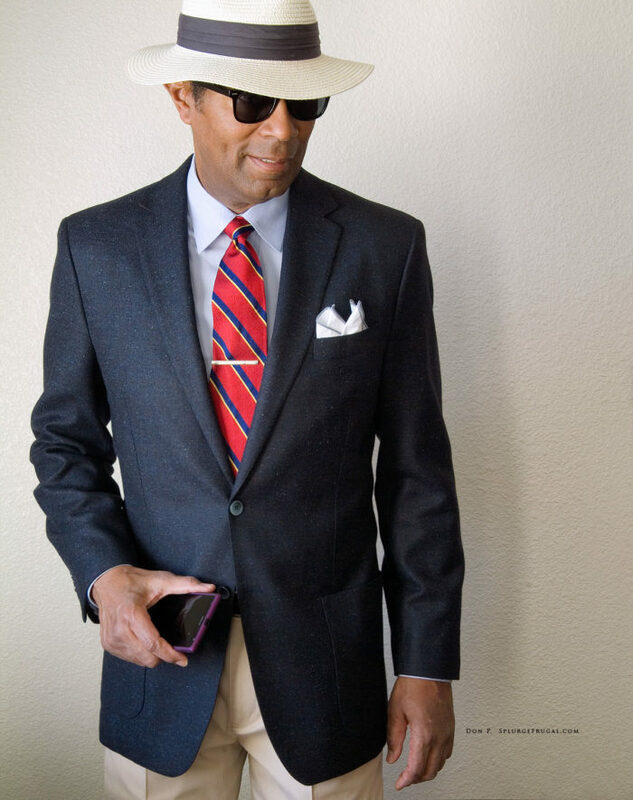 A safari jacket is classicly paired with a white straw Panama style hat. 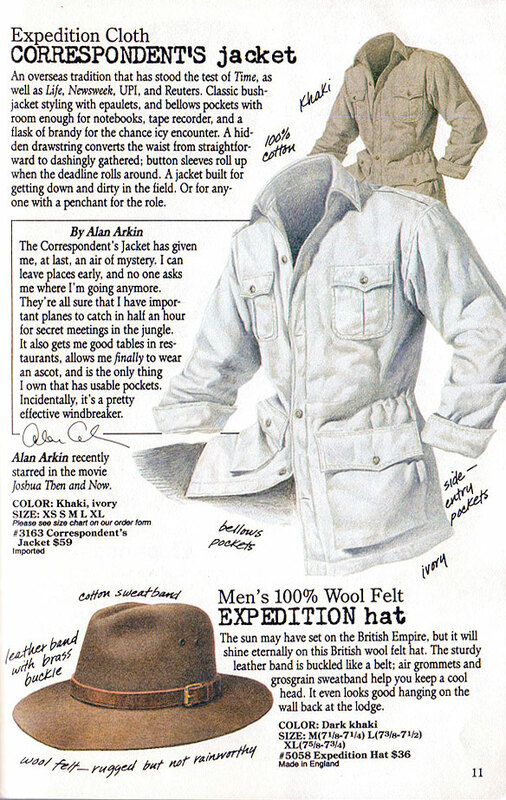 In fact, I would go so far as to say that this is the only type of hat you should wear with a safari jacket. Again, true to my frugal nature, the Panama style hat that I am wearing was purchased direct from China on aliexpress.com for only $5.00 (including shipping). It is quite unlikely that you will run into anyone else wearing a safari jacket and Panama hat if you do decide to add it to your wardrobe. It is not so common nowadays. Nevertheless, it is a classic and tasteful combination. Try it! If you want to seek out a vintage safari jacket, check out my post on how to always find what you want when thrift shopping. SplurgeFrugal!